Even today a lot of people still are "hunters and gatherers". Of course it's not a matter of food requirement: Today's "collector gene" draws attention to luxury goods and tangible assets. No matter if passion for collecting is a pure hobby or a kind of investment, collectors' markets continue to be most interesting. Since the mid-1970s old stocks and bonds became established as popular collectors' items. Subsequently Scripophily (= a newly coined word for collecting old stocks and bonds) by now became a field of activity for open-minded investors: Especially in a period of low interest rates investments in tangible assets are very popular. 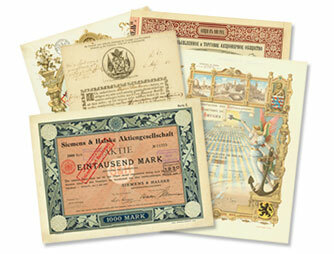 Actually Scripovest AG is one of the largest retail dealers for old stocks and bonds worldwide. The decision for targeted investing in the Scripophily market was made more than ten years ago. 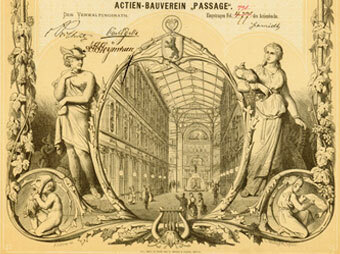 Since then Scripovest AG has a focus on both medium-term and long-term investments in several fields of Scripophily. Many years of experience in buying and selling old stocks and bonds combine recognition and prompt reaction to market fluctuations and new trends. Compared to an individual investment the professional trade is characterized by a variety of transactions, minimizing the total risk. Further combined and optimized logistics enable cost advantages, finally having a positive effect on the return of investment. The actively managed portfolio of Scripovest AG has an international orientation and displays a high degree of diversification. There has already been a series of speculative bubbles in the last millennium. 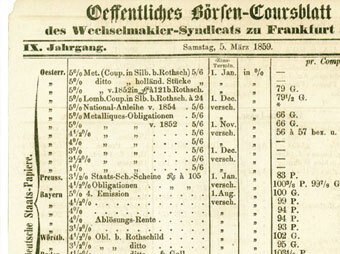 Germany was hit particularly hard with the "Founders' Crash" in 1873 and the following 23-year long "Great Depression". Therefore old stocks and bonds from this period were already well known as a valuable tool teaching us about the economic mistakes made in those days. Unfortunately this experience failed to prevent the tragedy taking place at the German Stock Exchange ("Neuer Markt") in the beginning of the new millennium. However the Scripophily market could benefit from these developments: At least a few of the recently failed stock companies left there invalid shares as a new chapter of Scripophily. Will we learn our lessons this time ...?